A pack of 5 Maistic plastic free cleaning cloths. Completely microplastic free and produced without polyester or other kinds of plastic. Made using natural wood based viscose fibres. A pack of 5 plastic free cleaning cloths. Maistic cleaning cloths are absorbent and ideal for cleaning in the kitchen and bathroom, as well elsewhere around the home.. These cleaning cloths are reusable but also biodegradable after use. 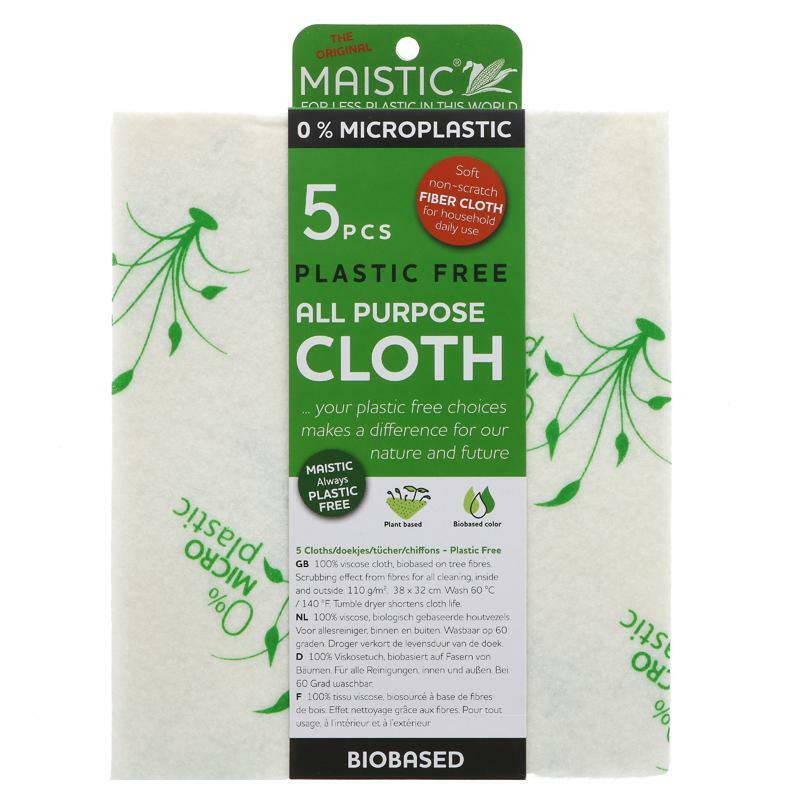 All Maistic cloths are EU certified compostable and free of harmful chemicals, making them the ideal eco solution for cleaning your plastic free home. The cloths are ideal to use with all your eco friendly house cleaning products. Maistic are committed to offering viable, microplastic free everyday solutions and alternatives to the traditional plastic cleaning products widely available for the home. Material - 100% natural wood based viscose. Microplastic and plastic free. No scratch scrubbing effect and suitable for all everyday cleaning. Quick dry faster than traditional alternatives, meaning they can be washed and reused as life demands. Care - We recommend washing your cloths at a max of 40c to maintain their life span, and avoid tumble drying them.